If you are thinking of moving to Hook or just want to know a what the area is like, the statistics on this page should give you a good introduction. 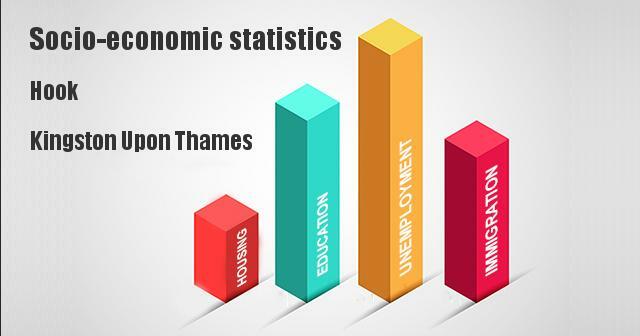 They cover a range of socio-economic factors so you can compare Hook to figures for Kingston Upon Thames and nationally. 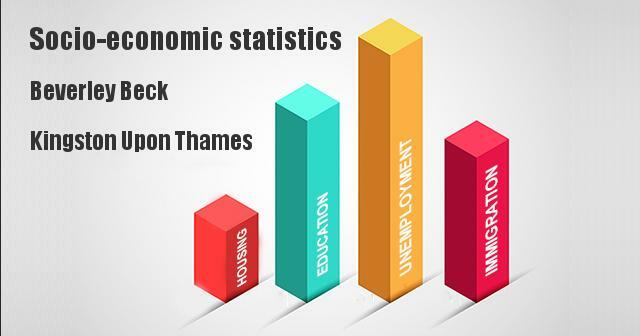 These statistics can tell you if Hook is an economically deprived area and how hard it might be to get a job. Social grade is a classification based on occupation and it enables a household and all its members to be classified according to the job of the main income earner. 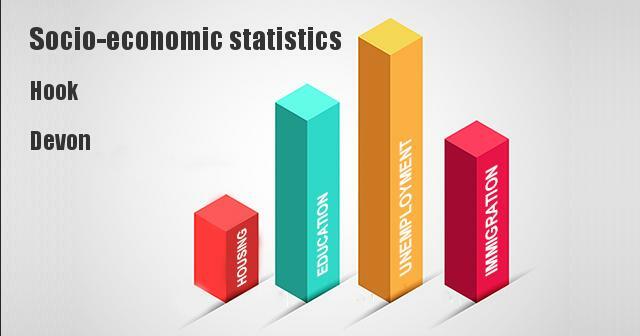 Hook has 20% more Higher and Intermediate managerial, administrative or professional households than the national average. These statistics are for the highest level education obtained by the residents of Hook and are from the UK Census of 2011. Hook has a lower level of residents with either no qualifications or qualifications equal to 1 or more GCSE at grade D or below, than the national average. Hook also has a high level of residents with a higher education qualification (level 4) than the national average, suggesting that the residents of Hook are better educated than the average England citizen. The population of Hook as a whole, is younger than the national average. The population of Hook is also older than the average, making Hook a older persons location. These figures for Country of Birth for the residents of Hook are from the UK Census of 2011. Since Hook has a lower level of residents born in the UK than the national average and a higher rate of residents either born in other EU countries or outside the EU, it does have a significant immigrant population. The respondents of the 2011 Census were asked to rate their health. These are the results for Hook. The percentage of residents in Hook rating their health as 'very good' is more than the national average. Also the percentage of residents in Hook rating their health as 'very bad' is less than the national average, suggesting that the health of the residents of Hook is generally better than in the average person in England. These figures on the claiming of benefits in Hook come from the Department for Work & Pensions and are dated . They can often be a good indicator of the prosperity of the town and possible indicator of how hard it would be to get employment in the area. The rate of claiming any benefit (which includes in work benefits) is more than 10% lower in Hook than the national average, suggesting higher salaries than the average in the area. Do you live in Hook? Let us know what you think in the comments below.